A meeting of ORAMMA, EUR-HUMAN (http://eur-human.uoc.gr/), and PHILOS (https://philosgreece.eu) executives, was held on December 30th. The aim of the meeting was to better coordinate the communication of the work produced in Greece concerning refugees/migrants and to establish a joint communication network via potential synergies and interactions. 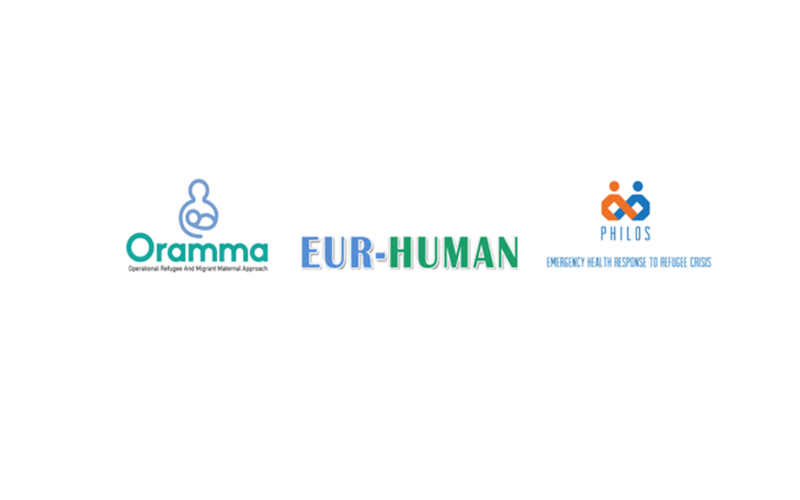 The aim of EUR-HUMAN programme is the development of clinical protocols, guidelines together with health education and promotion material and as well as a training programme will be developed for staff serving the refugees and migrants health care centre and tailored protocols and pilot testing in six implementation settings in Greece, Italy, Croatia, Hungary, Austria and Slovenia with contribution from experts and stakeholders from Turkey, Cyprus, Ireland and Belgium. The ORAMMA programme develops an integrated, mother and woman centered, culturally oriented and evidence based approach for all phases of the migrant and refugee women perinatal healthcare, including detection of pregnancy, care during pregnancy and birth, as well as support after birth. Both healthcare professionals training and mother- child care have been a primary concern for PHILOS programme since its inception, which led to the development of relevant material and tools implemented by programme executives in the field. For further management, processing and evaluation of the data collected under programmes’ context, several meetings are planned to take place in the near future. The meeting was attended by Mrs. Pitelou on behalf of EUR-HUMAN, Mrs. Vivilaki from ORAMMA and Mrs. Botsi from PHILOS programme.